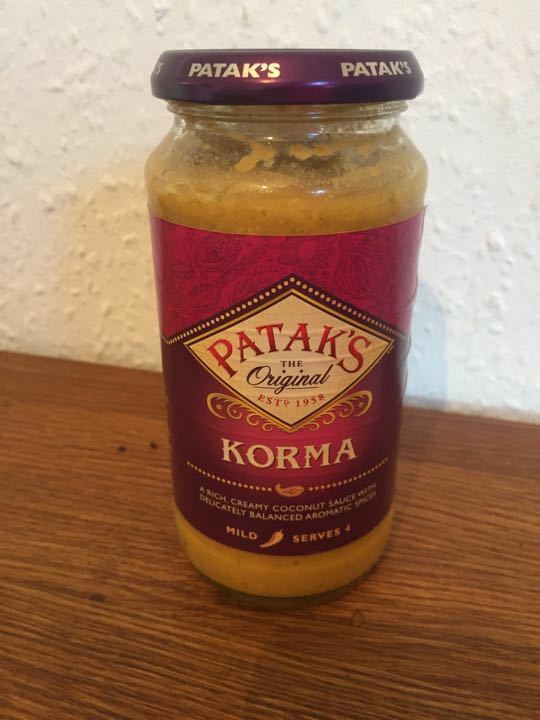 450g jar of korma paste. Best before was August 2016, but it still looks good. Has been in the back of our cupboard ignored for 2 years.